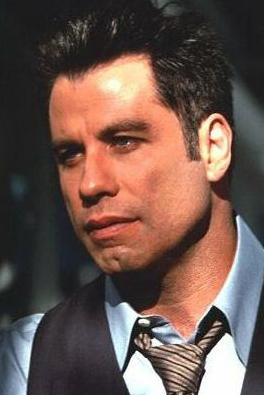 During the 1970s, John Travolta became the biggest star in Hollywood. After a string of hit films, including Grease and Saturday Night Fever, he had emerged as a true cultural phenomenon. Like so many other celebrities, Travolta's initial fame proved short-lived, and by the 80s he was viewed as an actor whose days of fame had come and gone. But what separates John from almost every other actor, is that after his rise and fall from fame and glory, he resurfaced, and once again attained the status of film Superstar. He was born the youngest of six children. His father was a former semi-pro football player and his mother was a high school drama teacher. By the age of 12 Travolta had joined an actors' group, and was soon appearing in local musicals and dinner-theatre performances. He took tap-dancing lessons from Gene Kelly's brother Fred. At 16, he dropped out of high school to take up acting full-time. He moved to Manhattan and made his off-Broadway debut in 1972 in Rain. A minor role as Doody in the touring company of the hit musical Grease followed, and in 1973 Travolta appeared in the Broadway musical Over Here! In 1975, he made his motion picture debut with a bit role in the horror film The Devil's Rain. 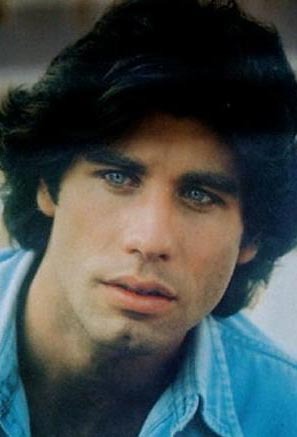 In 1975, Travolta was cast in Welcome Back, Kotter. As Vinnie Barbarino, he shot to overnight superstardom. Before the first episode of the series even aired, he had also won a small role in Brian DePalma's 1976 classic Carrie, carving a path to the movie industry. At the early peak of his Kotter success he recorded a series of pop music LPs, scoring a major hit with the single "Let Her In." In 1976 he starred in the TV movie, The Boy in the Plastic Bubble, which won critical acclaim. Diana Hyland, the actress who played Travolta's mother in the picture, became his off-screen lover until her death from cancer in 1977. Travolta's first major feature film, Saturday Night Fever, was released later that year. It made John the most talked-about young star in Hollywood. In addition to earning his first Academy Award nomination, he also became an icon of the era. In 1978, he starred in Grease, this time scoring the lead role of 1950s greaser Danny Zuko. Its box-office success was even greater than Saturday Night Fever's, and, like its predecessor, spawned a massively popular soundtrack LP. In the light of his back-to-back successes, it seemed Travolta could do no wrong. But it wasn't long before it all came crashing down. Travolta's first misstep was 1978's Moment by Moment. It was a box office bomb. Travolta then turned down the lead in American Gigolo to star in 1980's Urban Cowboy, which restored much of his financial lustre. Starring as a Texas oil worker, the film and its accompanying smash soundtrack did for country music and ten-gallon hats what Saturday Night Fever did for disco and leisure suits. The following year he starred in DePalma's under-recognized Blow Out, resulting in some of the best critical notices of his career but falling well short of box-office expectations. Travolta then rejected the lead in An Officer and a Gentleman to reprise the role of Tony Manero in the Saturday Night Fever sequel Staying Alive. Directed by Sylvester Stallone, the film fell far short of its anticipated blockbuster status. Two of a Kind, released a few months later, reunited Travolta with Olivia Newton-John, but again lightning failed to strike twice. By now Travolta's career was on shaky ground and after a two-year absence from the screen he returned in 1985's Perfect. When it too failed to live up to expectations, he was dismissed as a flash in the pan. But in 1989, the low-budget comedy Look Who's Talking was released. Co-starring Kirstie Alley, it was produced for $8 million but went on to gross close to $150 million. Then, in 1994, he made one of the most stunning comebacks in entertainment history. Starring in Pulp Fiction, written and directed by Quentin Tarantino, he was on the road to recovery. Quentin was a longtime Travolta fan who wrote the role of Vincent Vega specifically with the actor in mind. A critical as well as commercial smash, Pulp Fiction introduced Travolta to a new generation of moviegoers, and suddenly he was again a major star, with a second Academy Award nomination to prove it. In the wake of Pulp Fiction, Travolta became one of the hardest-working actors in Hollywood. He then landed the starring role in director Barry Sonnenfeld's 1995 Elmore Leonard adaptation Get Shorty. Acclaimed by many as his finest performance yet, it was another major hit. He followed it by appearing in the 1996 John Woo action movie Broken Arrow. 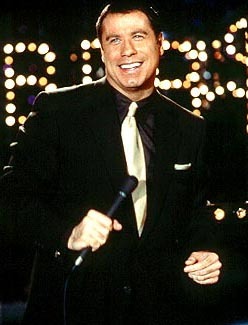 Phenomenon was another smash that same summer, and by Christmas Travolta was back in theaters in Michael. The following year he reunited with Woo in the highly successful thriller, Face/Off. It now looks as though John Travolta is here to stay. .
John Travolta's career has had such interesting ups and downs that you may as well charge admission and call it a thrill ride. Battlefield Earth, a pet project for John, has received mostly horrendous reviews, with the critics stumbling over each other to try and find the right words to describe how bad it is. He first came to our attention as Vinnie Barbarino, the dim-witted leader of the Sweathogs on TV's Welcome Back, Kotter. During the run of that show he played one of the jerks that ticked the title character off in Carrie. It was in 1977 that Travolta permanently etched himself into film history when he took the role of Tony Manero in Saturday Night Fever. His swagger and his dancing was the biggest reason the film became a huge hit and Travolta earned an Oscar nomination for his work. The rollercoaster dipped, however, when he made Moment By Moment with Lily Tomlin. The negative reviews were as loud as the box office was quiet. Of course, Travolta bounced back, again landing a role in a landmark film. He played Danny Zuko in Grease. The character, a singing, dancing romantic lead helped make the film one of Hollywood's highest grossing film musicals. Travolta traded his leather jacket in for a cowboy hat when he starred in Urban Cowboy, a film that tapped into America's growing interest in country-and-western culture as Fever tapped into disco. Travolta then played the complex role of a sound recordist who tapes an assassination in Brian De Palma's Blow Out. His career then bottomed out as he appeared in a string of forgettable films. He bounced back a bit with the talking baby flicks Look Who's Talking, Look Who's Talking Too, and Look Who's Talking Now. He was back on the public's radar. 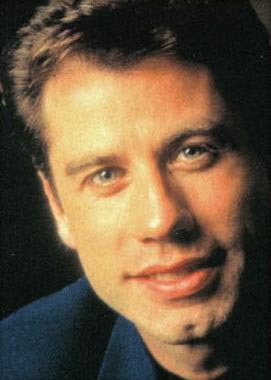 Travolta moved from a blip on the radar to a name on the A-list when he received great reviews for his role of Vincent Vega in Quentin Tarantino's Pulp Fiction. Though he worked for a small check on that film, he was catapulted into the $20 million club and got a second Oscar nomination for Best Actor. John has worked steadily since then appearing in Get Shorty, Broken Arrow, Phenomenon, Michael, and Face/Off. He stumbled just a bit with Mad City, but again did well in A Civil Action. b. 18 February 1954, Englewood, New Jersey, USA, of Italian-Irish ancestry. Travolta left school at the age of 16 to become an actor. After working in off-Broadway productions and Hollywood bit-parts, he landed a lead in Welcome Back Cotter, a nationally transmitted television series. Hating to see this exposure go to waste, Midsong Records engaged the handsome young thespian as a recording artist. Three singles, notably 1976's "Let Her In", cracked the US Top 40 which, with his film roles in such as Devil's Rain (1975), The Boy In The Plastic Bubble (1976) and Carrie (1976), readied the public for his pice de rsistance as the star of Saturday Night Fever which turned disco into a multinational industry. Travolta's pop and cinema interests combined in 1978's Grease, for which he was singularly well prepared, having once toured in a stage version of this musical. From the soundtrack, his duets with co-star Olivia Newton-John, "You're The One That I Want" and "Summer Nights", were worldwide number 1 hits with Travolta's solo highlights, "Sandy" and "Greased Lightnin'", also selling well. His solo chart career ended (perhaps temporarily) after the fall of Sandy from the UK album lists in 1979. Staying Alive, a sequel-of-sorts to Saturday Night Fever, and Two Of A Kind (in which he teamed again with Newton-John) were made during the 80s when his career was in decline. Travolta found himself replaced by a new wave of actors who included Tom Cruise, Tom Hanks, and Kevin Costner. His comeback came in 1994 courtesy of director Quentin Tarantino's smash hit Pulp Fiction, which earned Travolta a second Best Actor Oscar nomination to add to the one for Saturday Night Fever. Since then his star has been in the ascendancy, and the musical magic started all over again in 1998, when the Grease soundtrack, and the single, "You're The One That I Want", returned to the charts following the film's 20th anniversary re-release. In the same year, Travolta received a lifetime achievement award at the 34th Chicago International Film Festival. 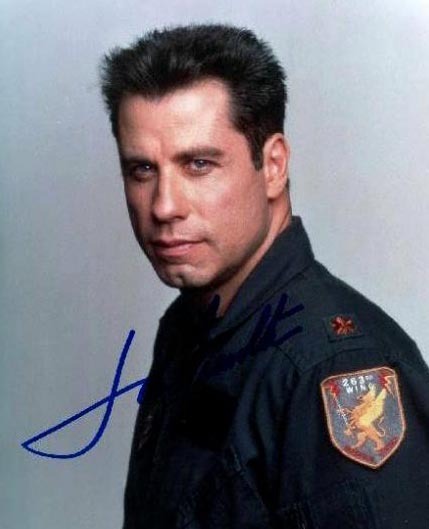 MAY 2000 John Travolta, WRE's favorite movie star, gave us about ten minutes during his whirlwind tour of Atlanta, where he was promoting his new science fiction epic, Battlefield Earth. He was not quite the same guy. A little heavier, hair in a buzz cut, Travolta did not exude the easy confidence, the effortless top-of-the-world attitude that marked our previous meetings. Dressed in his customary dark colors, he was still very friendly and approachable. He was still polite and professional. But he has more riding on Battlefield Earth and it was easy to tell. Travolta is both producer and star of the film, which is adapted from the first in a series of futuristic novels by L. Ron Hubbard. Hubbard is also the founder of Scientology, the controversial 20th century religion Travolta belongs to and has defended for years in the press and to the government. Long before the film's release, anti-Scientology zealots were claiming the film would be full of subliminal Scientology messages and needed to be avoided. The preview audience the night before clearly disagreed, cheering and applauding when it was over, though the critical press sounded much less impressed. WRE was not interested in tussling with a guy we love, so we mostly tossed him softballs. The moment Scientology came up, his handlers were there to signal the interview was coming to an end. If you were expecting a knock-down drag-out with one of the biggest stars in Hollywood, sorry. So you're a father again. Congratulations. JT-- Yeah! Second time. Had my daughter a few weeks ago. Ella Bleu. My second child. My son is 8 now. We're a pretty happy household now. What's the difference between being a father of one child, compared to two children? It's better. I think there's often too much significance put on an only child. The weight of the world is on them. They're the second coming to most parents. That one and only child, it's a lot. I could feel the weight shift when the second child came along. It was like, all right, now Jett gets a break. Battlefield Earth has been a pet project of yours for years. It sounds like getting money was very difficult. Did you defer your salary for this? Did you put up your own cash? A little of both. Deferred, a little of my own. Because at the last minute, when you want that special effect that you need to make it perfect, you go [takes a deep breath] 'Okay!' Because when you see a project this massive, it can get so close to being great that there are little tweaks that need to be done, but it's so worth it. Speaking of massive, the book Battlefield Earth is over 1000 pages. I hear you're already thinking about a sequel. Yes. We covered the first 500 pages of the book, roughly. We will take on the second 500 pages next year and release it the following year. There's really no other way to do it. I thought we tackled the first 500 pages in two hours really well, and we'll do the same for the second part. Same writer, same group, everything. Roger [Christian]? Oh yes. You know Roger was a gift from George Lucas. This guy was in on the first Star Wars, where everyone sacrificed to get it done, he knew what that was about and he knew this movie wouldn't get done unless everybody sacrificed to some degree. Everybody chipped in, worked for nothing as a labor of love, until it all fell together at the end. Who is J.D. Shapiro? I see his name in the final credits as a screenwriter, but there's nothing about him in the press kit. J.D. Shapiro did one adaptation earlier. It was good, but it wasn't 'it.' Corey Wendell, who is really a sci-fi aficionado, fell in love with the book, and that is the key. With General's Daughter, Primary Colors, Civil Action, Get Shorty, the key to a great screenplay is that the writer, the adapter, loves the book. Not that J.D. didn't love the book, he just didn't get the things that the reader loves in the movie. Corey was really good at doing that. Are you a fan of sci-fi in general? No, not really. As a kid, I liked Time Machine, 20,000 Leagues Under the Sea. But I never really felt it was realistic enough, until I read BE, and like 6 million other people I think I saw what they saw. It actually reminded me of Grease in a way, because Grease was this Broadway show that was like the biggest Broadway show ever, then we went and made the movie and it was the biggest musical ever. Well, this has that same kind of love of the genre. It was the most loved science fiction book of the century. It had a great foundation, a great blueprint, and I felt a little ahead of the game, like I did with Grease. Does this project mean more to you than any other? Well, believe it or not, Grease did. Because I was 18 when I first saw it, and I replaced somebody in the show. I think it meant a lot to me to get that movie going. What's it feel like to see it on the screen after working so hard for so long to get it made? Talk about some projects we've heard you're working on. Martin Scorcese's Dino? I love Scorcese and Tom Hanks [who is set to play Dean Martin] is a good friend of mine. At first when that project was brought to me, I hesitated to play Dino. I thought it was more interesting to play Frank [Sinatra] anyway for somebody like me, somebody who sings and dances. It just keeps getting postponed. Marty hasn't solved the script yet. I was going to do a movie called Standing Room Only, my wife [Kelly Preston] and I were going to do. That was going to replace it, but that got postponed too. What about the rumor about The Vega Brothers movie? I saw Quentin [Tarantino] about a month ago. And he said 'There are three things my fans want me to do: They want me to do a movie with you, a movie with Uma, and a movie with Sam Jackson. I've done Sam Jackson. Next is Uma. After that is you.' I think it may be the Vega brothers thing, but I'm not sure. Because I never know with Quentin what the deal is. He's so unusual and creative that I'll just have to wait and see. Even with Pulp Fiction. He talked with me first about the vampire one [From Dusk 'Til Dawn]. And I wasn't so interested in that. I said, 'I'm just not a vampire guy.' I turned down Interview with a Vampire. But when he was writing PF, he said he couldn't get me out of his mind. And that turned out to be a better opportunity. When I spoke to you a couple years ago, you seemed an expert student of Hollywood as a business. You said there's so much research now, the bean counters can tell you how a movie's going to open two weeks before it does. So can you give us a guesstimate of what Battlefield Earth is going to open with the weekend of May 12? Some surveys, like the one for Entertainment Weekly, have it as the #1 most anticipated movie of the summer. Then you have the tracking that looks very promising. Two weeks out, well, you really know a few days out. But personally I hope it beats my personal best, General's Daughter, which was $24.5 million and before that was Face-Off at $22.4 million. Can we touch on the Scientology angle for a second? You think all the press about that is going to work against the movie at all? No. Not at all. Clearly, it's a great science fiction book. If the book hadn't been so successful, that might be a concern, but it's so huge, there's no analogy. What about the complaints of subliminal messages in the film? I don't know if you know this, but even back in the 50s, when they did it, it never worked. I giggle more than anything about it. It's just like, too stupid.